Moscow, September 9, Interfax – Symmetric response of Russian Orthodox Church to actions of Constantinople in Ukraine could become establishment of the Moscow Patriarchate’s dioceses in Turkey, a famous religious expert, professor Roman Sylantyev believes. 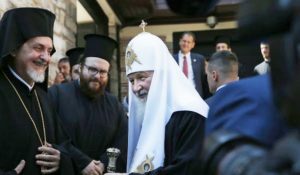 It was reported that a day earlier the Patriarchate of Constantinople appointed two exarchs in Kiev as part of preparations to grant autocephaly to the Orthodox Church in Ukraine. Such was Constantinople’s response to the request by President Petro Poroshenko to issue a tomos for the creation of the united local Church in Ukraine. Previous ArticleWhat will an autocephalous Ukrainian Church mean to us? This threat of establishing a Russian Orthodox Church in Turkey and Metropolitan Hilarion’s article threataning schism are “Two shots across the bow” to the Phanar warning what could result if the EP goes forward with the granting autocephaly to the Ukraine. Serious stuff. 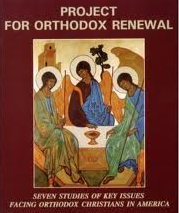 It would be a major setback in America to the pan Orthodox movement. This is a direct threat to the EP from the Russian church if the EP goes ahead with granting autocephaly to the church in the Ukraine. Along with Metopolitan Hilarion’s threat of schism they can be considered to be “Two shots across the bow” warning the EP to turn away or else. Serious stuff. It would shatter pan Orthodoxy in America. Russian attempts to establish Moscow as the “Third Rome”… and to undermine the Ecumenical Patriarchate… are nothing new. After granting Autocephaly to the OCA decades ago, Russia should no longer have any influence over the Church in North America. Former KGB Putin wears a cross, visits Mt. Athos, and throws the resources of the “State” in Russia behind the Moscow Patriarch… each using the other to advance their own ends. Pan Orthodox efforts among the clergy and laity here in America should be redoubled in the face of all of this Geo-political intrigue… not “shattered”. Our problems in living and growing Orthodoxy in America are local… and they can only be solved locally by an informed an engaged clergy and laity. 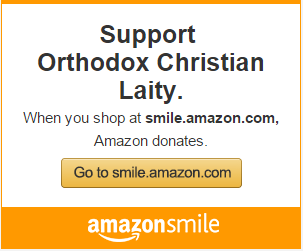 For more than thirty years, OCL has been the only Pan-Orthodox lay ministry seeking to educate and motivate the clergy and laity in the US to assume responsibility for our Church. Blaming Constantinople and Moscow … and Damascus (Antioch), Belgrade, Bucharest and Sofia … and the Greek Foreign Ministry, for our problems is a cop-out that empowers them to exercise control over our lives that exist only because of our own abdication of responsibility.